Discussion in 'Pure Football' started by MackneyHackem, Mar 20, 2019. I’m going dressed as the Checkatrade Trophy me. A bewildering comment if ever there was one. Dylan fans are apparently easily pleased, so a Sunderland supporting Dylan fan should be happy with a predominantly black 'Sunderland' scarf? Bet you cried when he picked up the electric anarl, you joyless goon. Nothing with the club's badge on? Interesting rule that one. 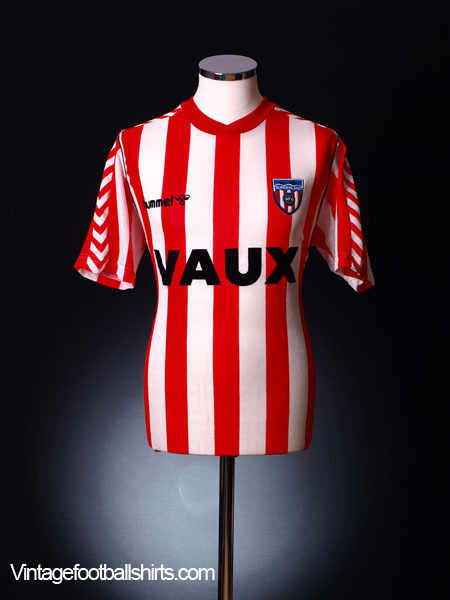 I’m torn between my 37 FA cup shirt or 89 Hummel shirt (it’s a copy as I would burst out of my original from the time). For the first time in 20 years I bought a strip on Saturday, with the Checkatrade Final Date etc on. Wore it at my brothers funeral on Monday as he requested a colourful Footie strip send off. Larza, stretch, scott934 and 12 others like this. Original VAUX Hummel home if the sun shines (and it still fits) or my unwashed scarf from 1983 if it's cold. Couldn't get one in time but really very good ! I recall for the League Cup final it was essentially 'reverse rules apply', in the sense that people who normally wouldn't be seen dead in a footy top generally donned colours because it was a special occasion. This year I reckon I'll go for a scarf. But which one? Obviously not the snide one where 'AFC' is missing off the badge. Are the club shop selling flags ? scott934, Ginger John and The Rat like this. MackneyHackem and Sgt Pepper like this. 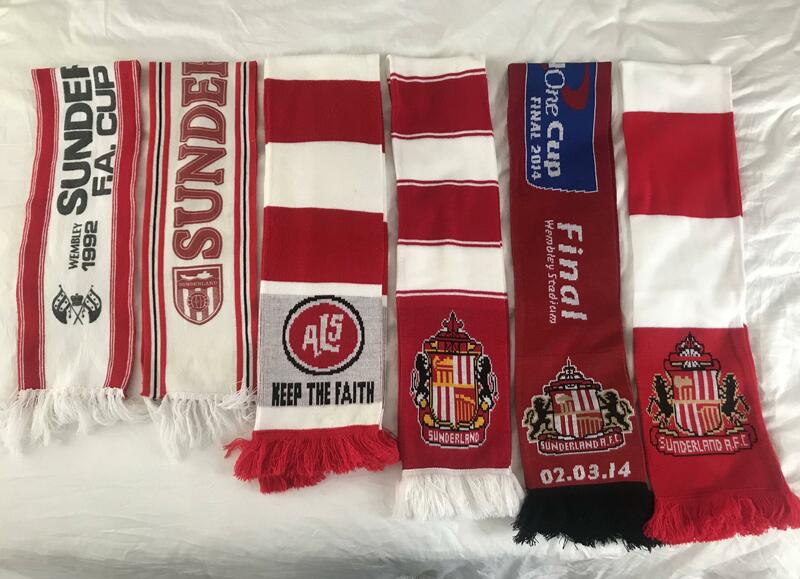 Aye I was asking what scarf you think I should wear out of the six in the photo I posted – couldn’t give a toss what any of you lot are doing to be honest. Do one man, support is about going to the games not what you wear. Quite liked the Score Draw 70s replicas if that's what you're on about?